The LG Shelf Stereo System is the only party-starter you're going to need to get your guests' attention! Sync up your own music via Bluetooth, 2 AUX ports, 2 USB ports or this model's CD player. Don't want to worry about managing the music all night? Leave that to the Auto DJ! Additional features include an FM tuner, 10-inch subwoofer, an 8-inch front woofer, several large speakers and a 1-inch tweeter. 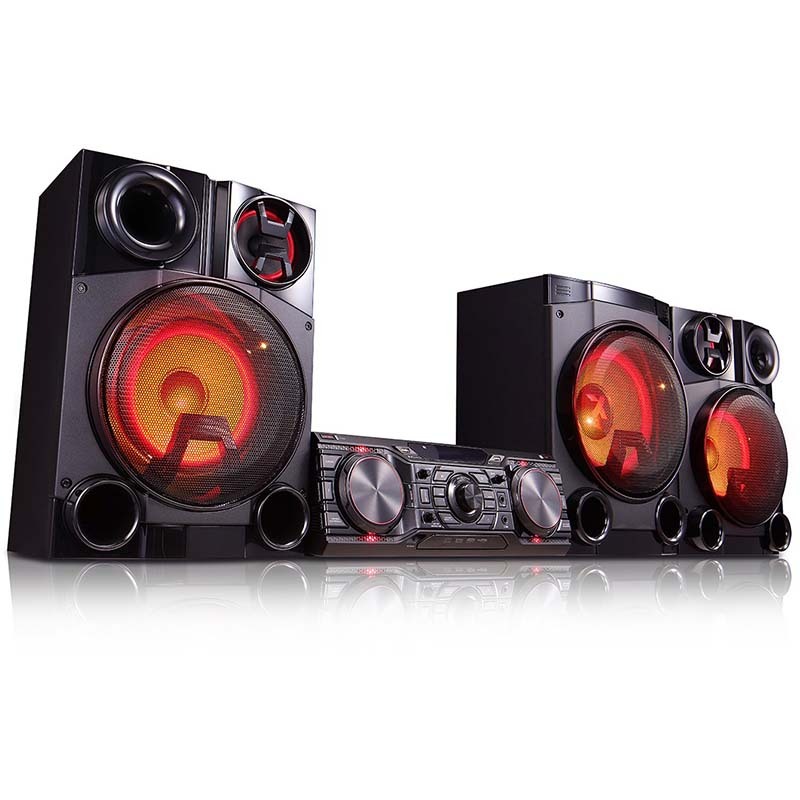 Turn up the volume as the speakers illuminate the room with a light show, and don't forget about karaoke mode!